With 500000 inhabitants Tripoli, also known as Trablous or طرابلس in Arabic, is the second largest city in Lebanon. 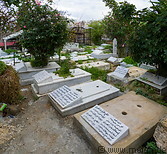 it is located in northern Lebanon, 70 km northeast of Beirut and 25km south of the Syrian border. 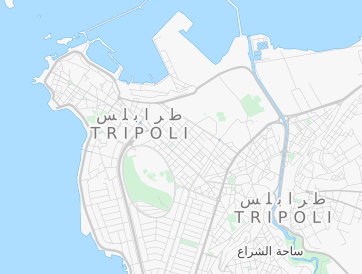 Tripoli has a harbour (the second largest in Lebanon), but no airport. The area has been settled at least since the 14th century BC. The Phoenicians arrived in the 9th century BC, followed by the Persians, Greeks, Romans, Byzantines, Arabs, Ottoman and the French. Tripoli has been spared from destruction during the Lebanese civil war and as a result has an intact historic core. It contains after Cairo the largest and most significant set of Mamluk architecture in the world. The old town contains a large and active souq, the best in Lebanon. On a hill overlooking the old town there is the citadel of Raymond de Saint-Gilles, a large fortress built by the crusaders in 1103 and later used by the muslims. The citadel was extensively restored by the Ottomans in the early 19th century. Tripoli can be reached by car (80km, 1:20 hours), bus or shared taxi from Beirut. It has no own airport. Accommodation in Tripoli bookable through international booking portals is somehow limited. Only a handful of hotels are listed, and these are either expensive or very basic. There are more options outside the city. Given that there is a dearth of restaurants catering to tourists, it make sense to stay in a city near Tripoli, for instance Batroun.